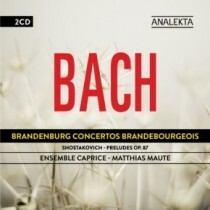 To accompany their Brandenburg Concerto release, Ensemble Caprice’s director arranged six preludes and one fugue from Op. 87 in complementary instrumentation. 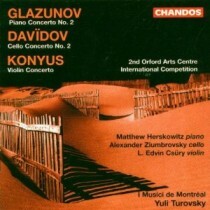 It doesn’t sound like Shostakovich – more like polytonal Rameau. While mentally calculating if I was suffering greater fiscal damage from the shopping extravaganza or the recent S&P 500 slide, I came across this new release, proudly displaying the Canadian Maple Leaf on its cover.